I’m typing this on December 4th, in down town Salt Lake City, Utah. I am staying in a hotel suite, and today we had our first real snow of the season! I’m so excited and completely shocked. The latest snow I recall since moving here was November 3rd. Usually we get ‘something’ in October- but this year, nothing more than little flurries that melt before they hit the ground. I hope you guys love this file! Remember, all of our downloads are for personal use unless otherwise stated. 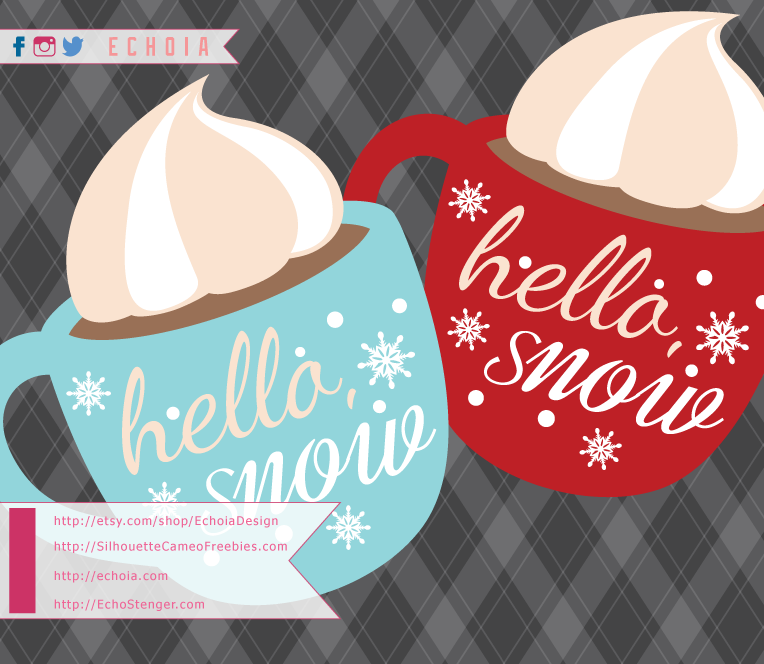 If you need a commercial license for this file, please visit EchoiaDesign on Etsy!